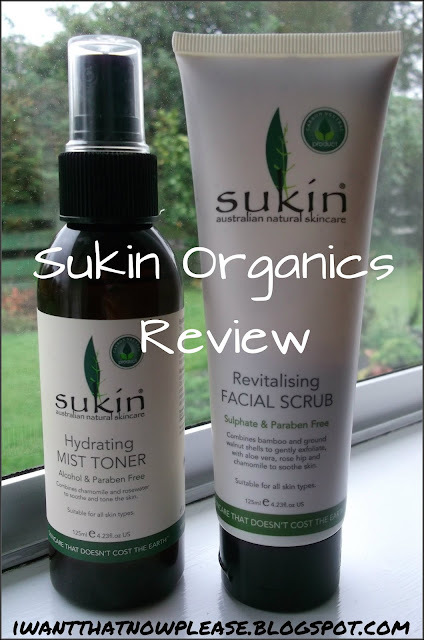 Finding cruelty free skincare that doesn't cost the earth can be next to impossible, but I recently discovered a brand called 'Sukin Organics' in my local Farmers store that I think truly fits the bill. 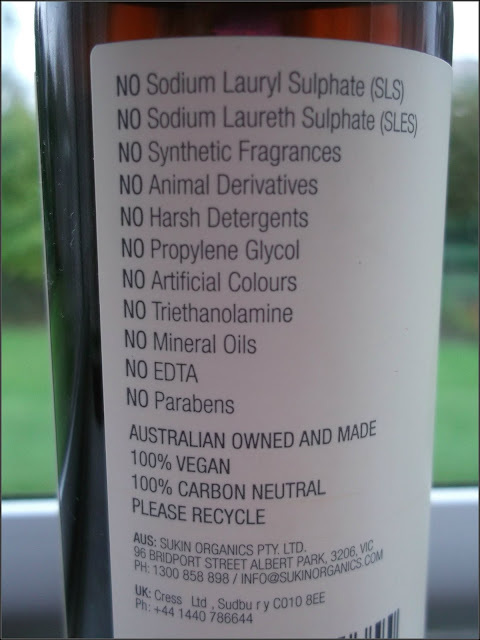 Doing a bit more research on the company I found out that Sukin Organics is an Australian owned company that produces 100% vegan, cruelty free, natural, carbon-neutral personal care products that don't come with the hefty price tag most organic skincare products do. Their packaging is even biodegradable! 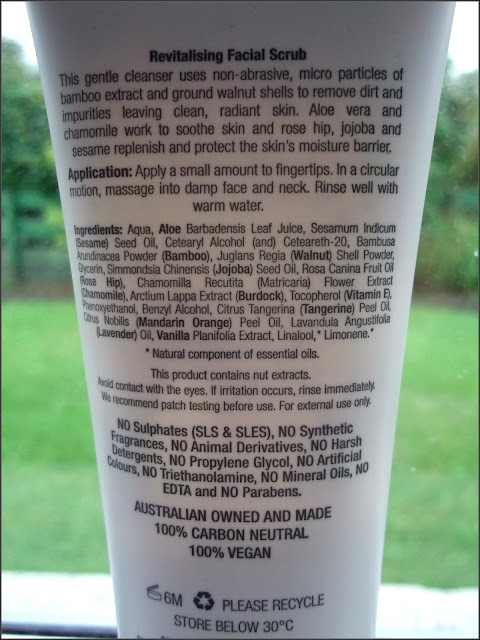 I purchased their Revitalising Facial Scrub and the Hydrating Mist toner, both for well under $20 each. Application: Apply a small amount to fingertips. In a circular motion, massage into face and neck. Rinse well with warm water. 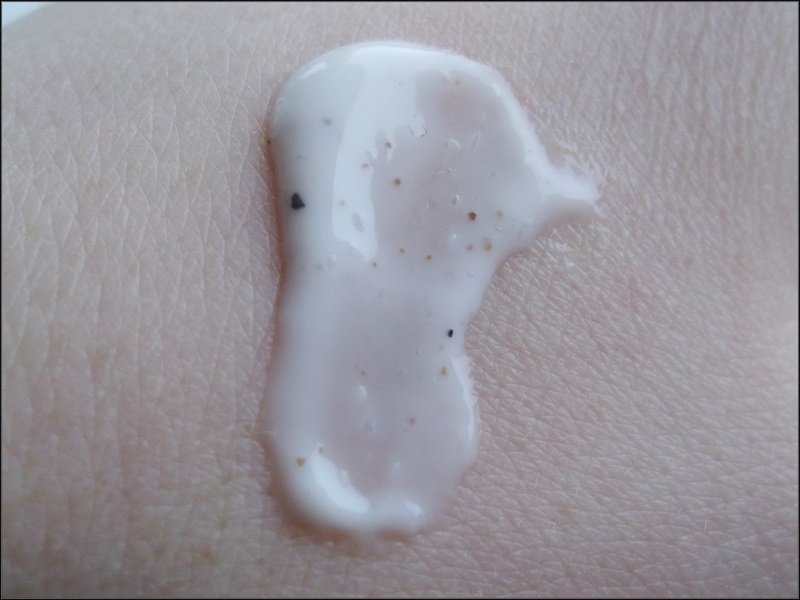 The scrub has a pleasant herbal scent that doesn't linger too long. 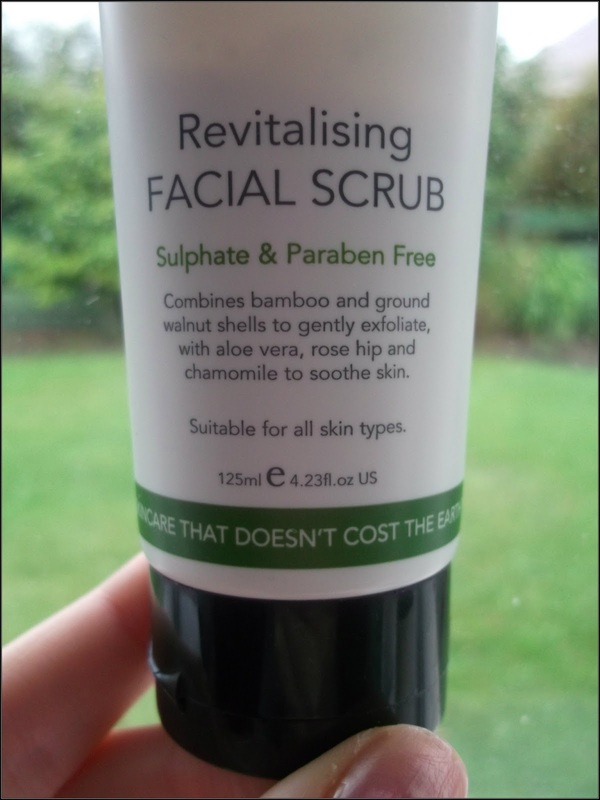 After using this scrub my skin feels very smooth and soft, and not irritated and striped of all moisture like it did in the past with other exfoliant scrubs. I like it! PRICE- $15 NZD, $10 AUD for 125ml of product. AVAILABLITY- Farmers stores in NZ, Priceline stores in AUS and selected pharmacies worldwide. Check their website for a detailed list. 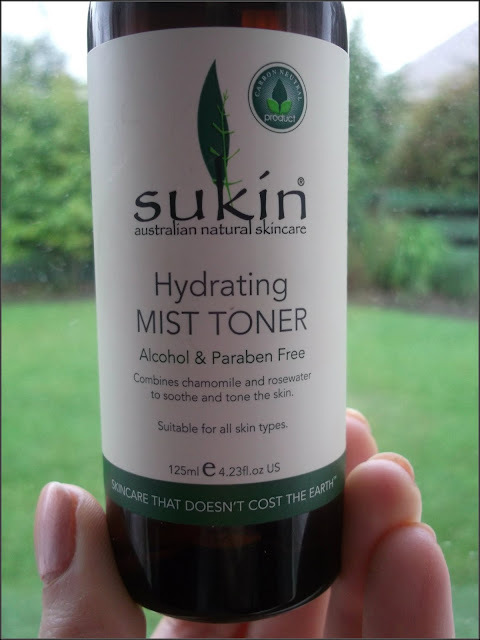 The other Sukin product I bought was the Hydrating Mist Toner. Combines German chamomile and rosewater to soothe and tone the skin. 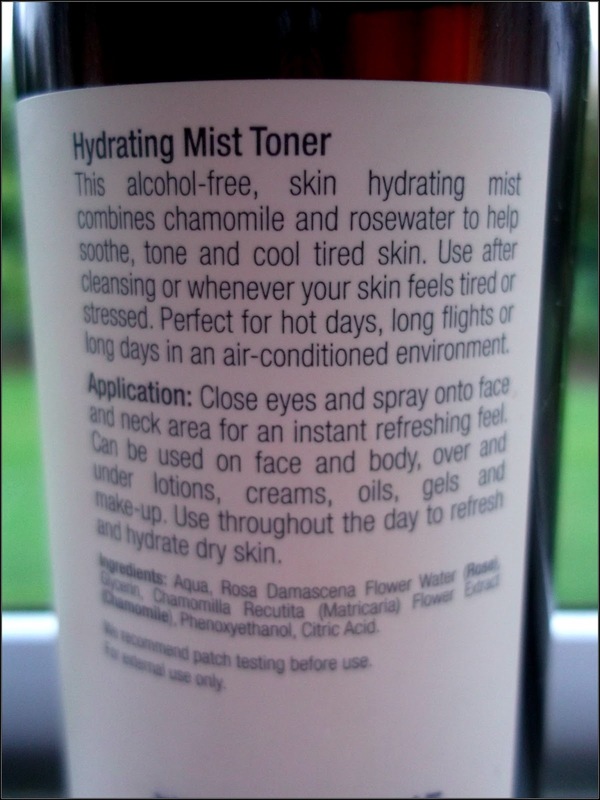 This alcohol-free, skin hydrating mist combines chamomile and rosewater to help soothe, tone and cool tired skin. Use after cleansing or whenever your skin feels tired or stressed. Perfect for hot days, long flights or long days in an air-conditioned environment. I've never really used toners consistently before now, so I wasn't really sure how I would like this one. What initially attracted me to this was that you could spray it over makeup for a hydrating boost, and working long hours in an air conditioned environment I must say I don't know how I lived without something like this before! It sprays quite a fine mist so you don't need to worry about running makeup, and I find that not only is it good for a quick pick-me-up for skin during the day, it also helps to settle down your skin if you have over-powdered or you want a more dewy, natural finish. Incorporated into my skincare ritual after cleansing or exfoliating, this feels very soothing and softening on my skin, but I don't know whether it has actually benefited my skin in any way yet. If you are looking for a refreshing and gentle toner though, I would definitely recommend this one. PRICE- $15 NZD, $9.95 AUD for 125ml of product. 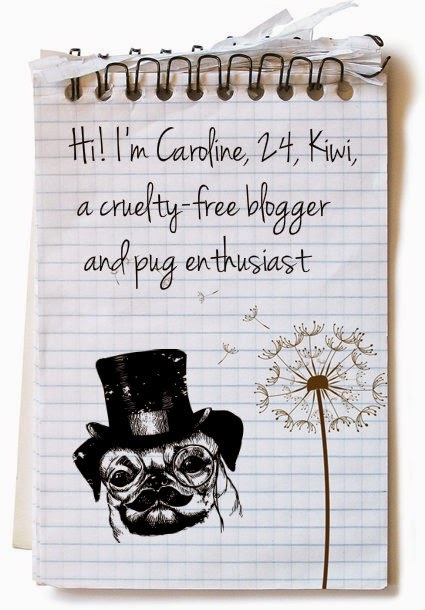 AVAILABILITY- Farmers stores in NZ, Priceline stores in AUS and selected pharmacies worldwide. Check their website for a detailed list.